There is no better feeling than eliminate players up close and personal. If you’ve ever been able to sneak behind an enemy’s back and touch him while saying “you’re out” you know what I’m talking about. 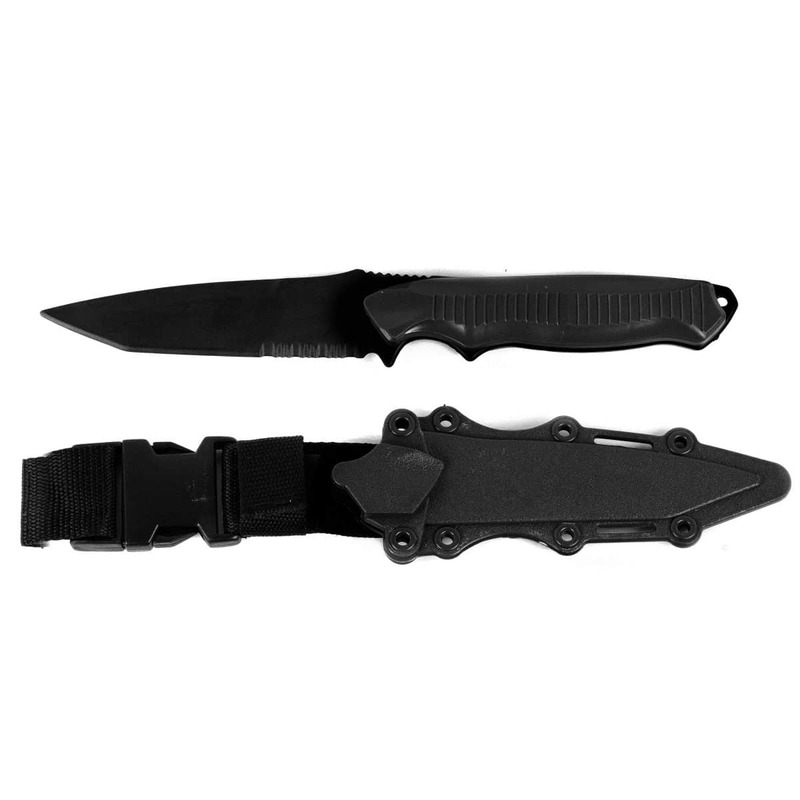 With this rubber knife, you can enhance the experience by adding realism without the possibility to hurt yourself or your friends. 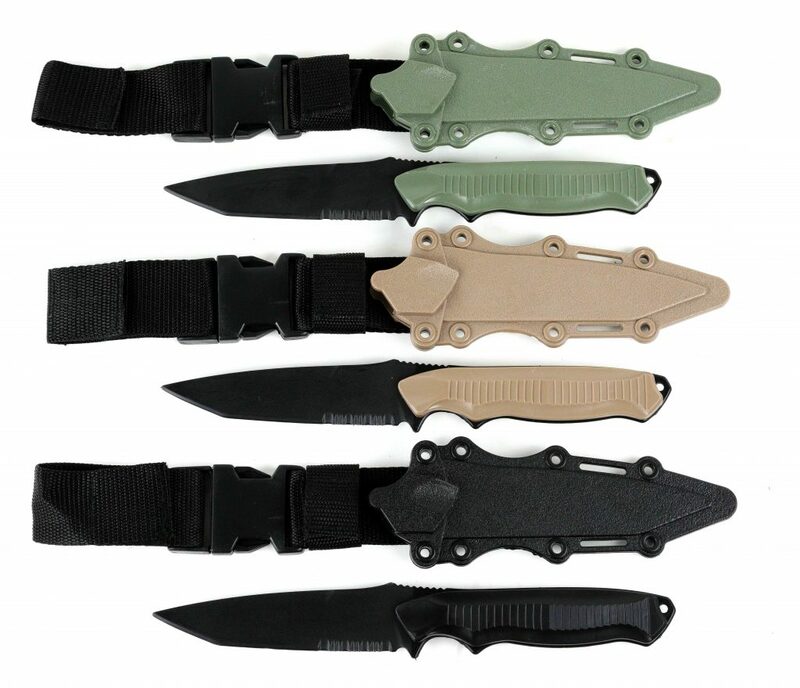 The sheath is made of a polymer which is similar to Kydex in function and looks. It can easily be attached to your gear via cord loops. The knife stays in the sheath even when it’s not secured by the strap but to prevent accidental loss I’d encourage to use the strap or a piece of cord. 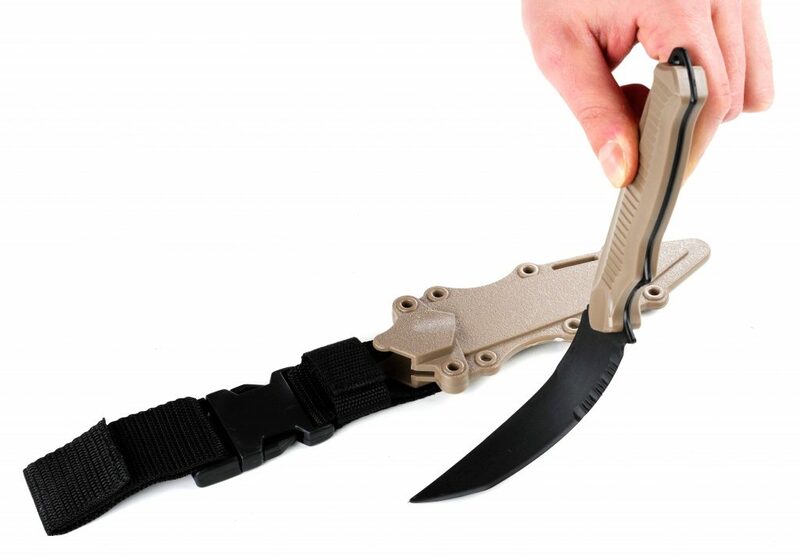 The knife is sturdy enough yet flexible to prevent any injuries. The blade is blunt so you won’t be able to cut either your lunch or your friends with it. Available in Black, Green and Tan.